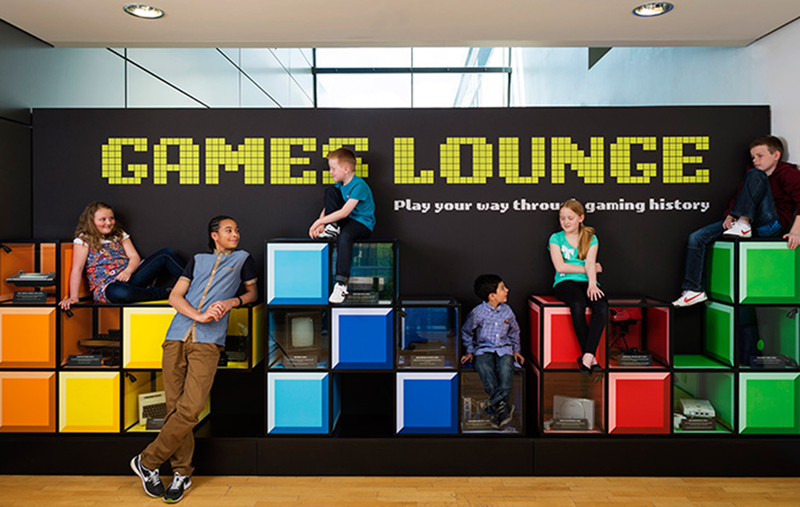 The museum’s Games Lounge sought to exhibit the history and evolution of computer gaming from the first arcade games through to home consoles. 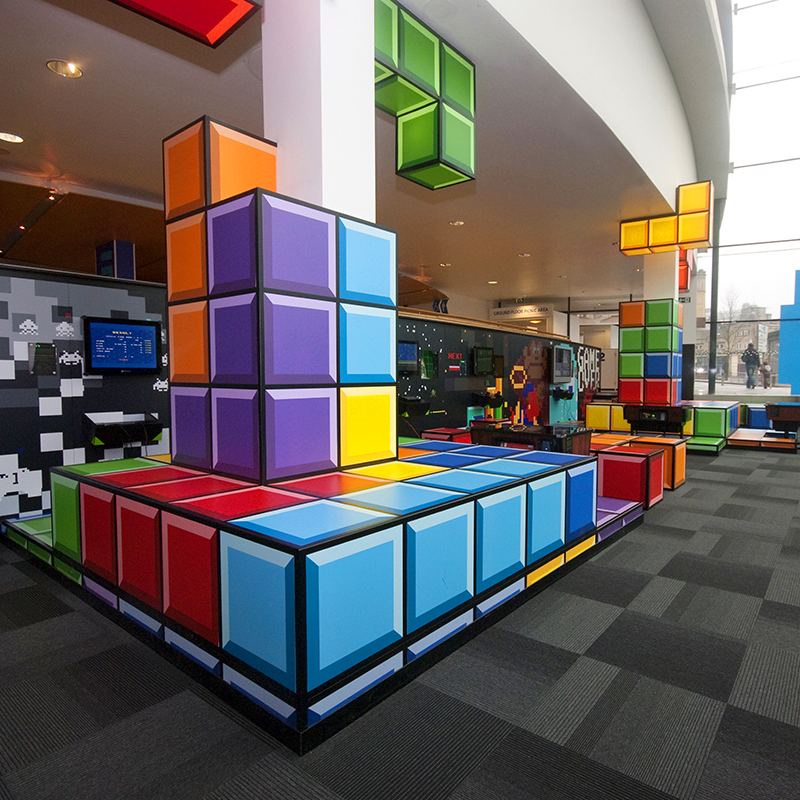 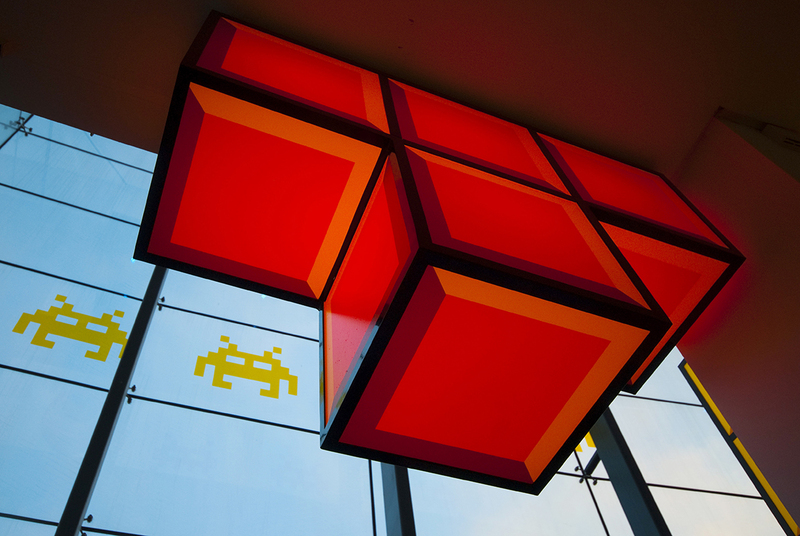 As the brief was to attract a wide range of visitors to the museum, we incorporated the easily recognisable Tetris design throughout the exhibition to entice visitors of all ages. 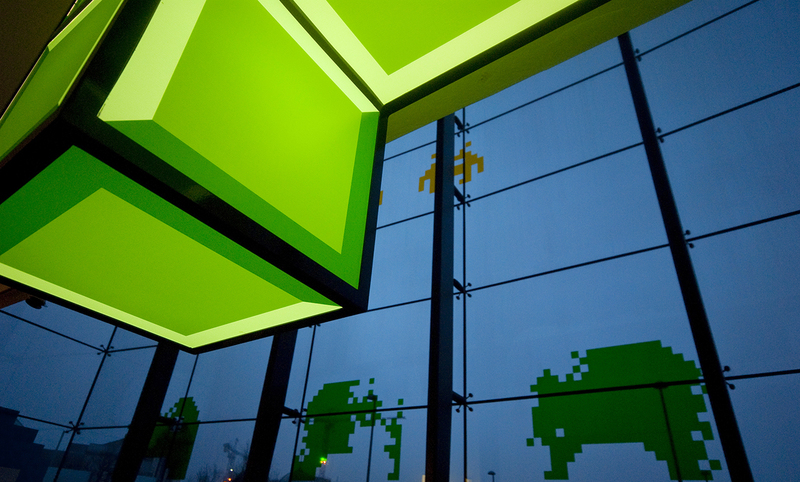 Our design concept was then developed to be immersive. 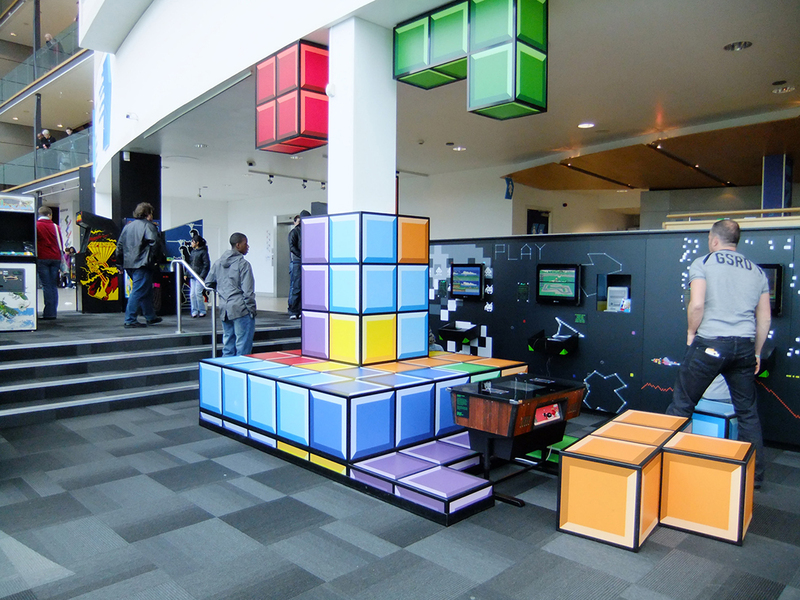 We achieved this by scaling up the Tetris blocks to induce the feeling of being within the game and truly surround the visitors with the exhibition. 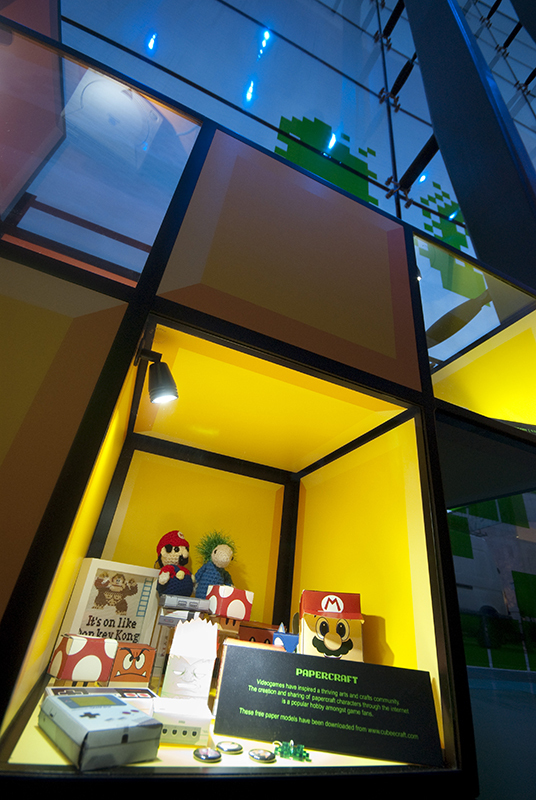 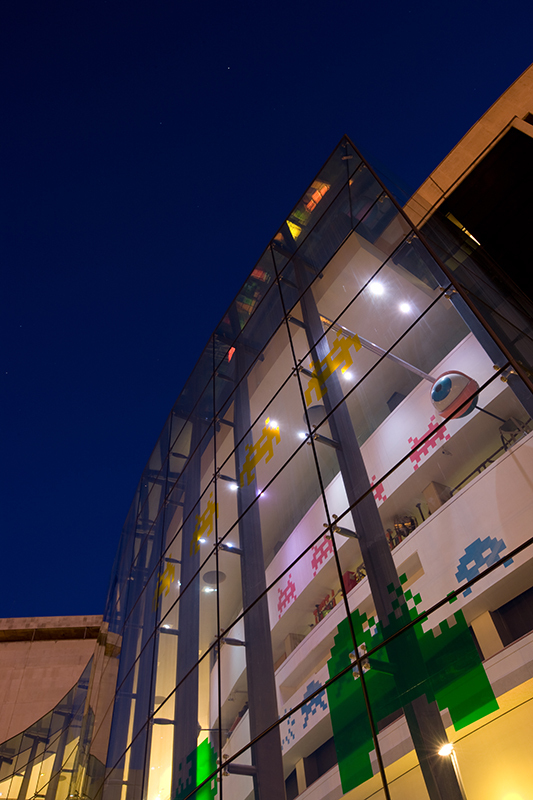 The enlarged elements of the video games on display at the front of the museum attracted guests into the museum itself as well as encouraging visitors to enjoy and play with the exhibition. 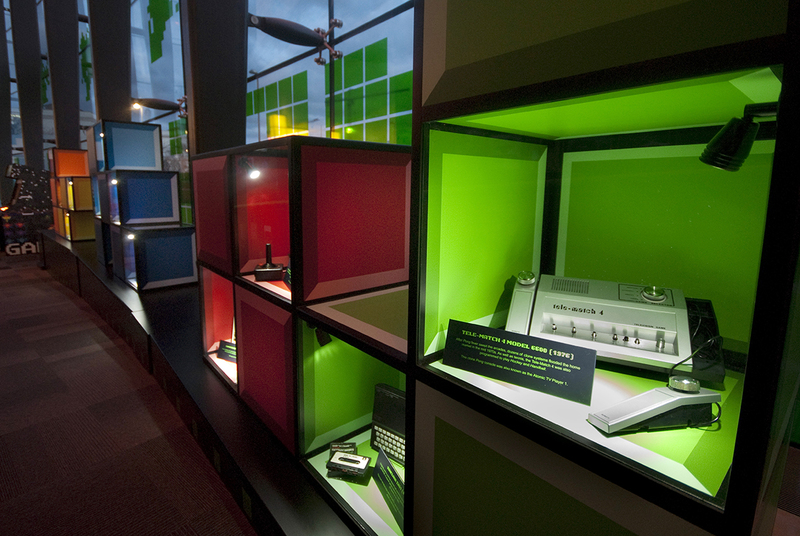 This was the second most successful exhibition ever at the National Science and Media Museum.